Happy New Year! 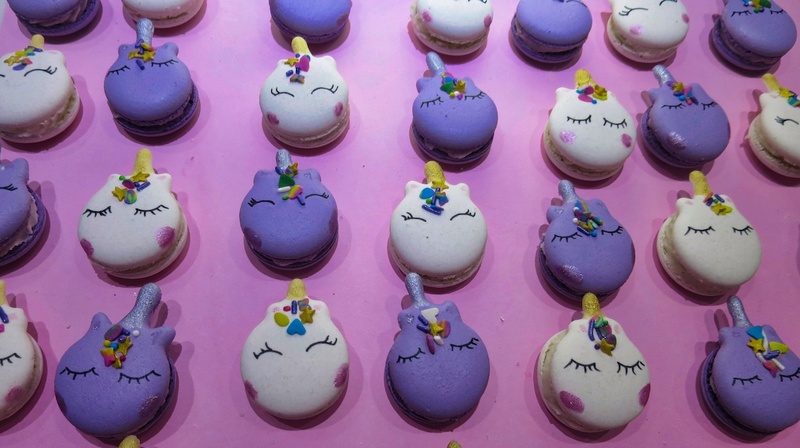 Here’s a little magical project for start of 2018, adorable unicorn macarons! As for the flavour, lavender is strong and the flavour can be overwhelming so use it sparingly and rather start with a tiny drop adding causiously after tasting the mixture. I used a drop of oil in the shells too letting the hint of smell be the indicator but in the buttercream I tasted the mixture after each additional drop to avoid getting a soapy flavour. Pairing with vanilla the flavour works beautifully but as there are differences in brands I strongly suggest adding lavender in tiny drops tasting in between the additions. 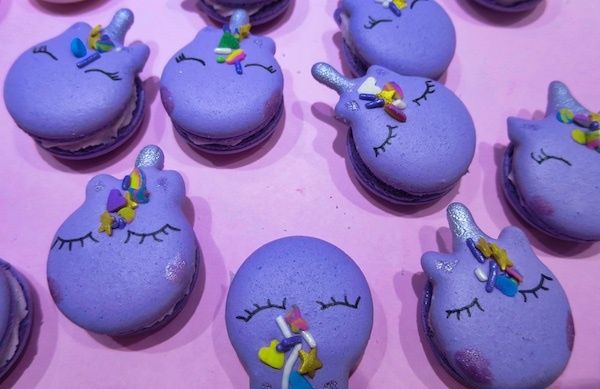 Combine the finely ground mixture with the remaining egg whites and mix until fully incorporated, then add a drop of lavender oil and purple food coloring and mix well. Place 3/4 into piping bag with large round piping tip and the remaining into a separate piping bag with a small round tip. 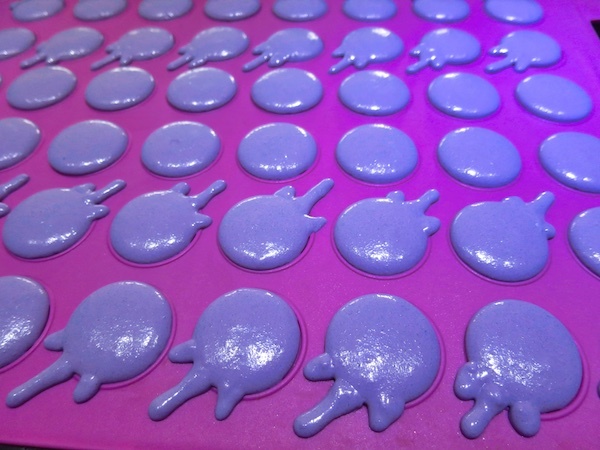 Pipe round macaron shells onto your baking sheet, then using the small piping tip pipe ears and a horn on everyother shell/half of the shells. Using sprinkle mix of your choice add a small amount of sprinkles right under the horn to form the front mane. 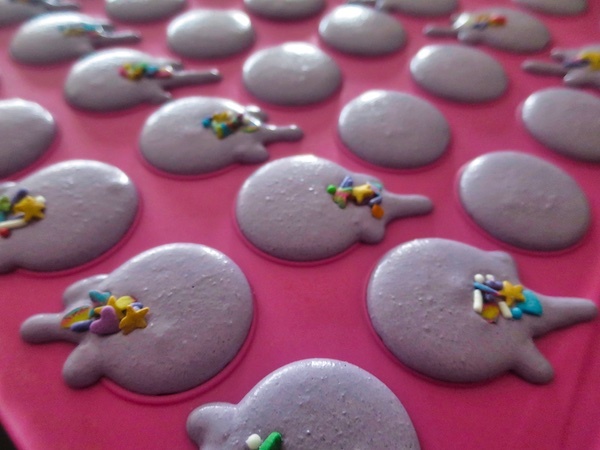 Meanwhile prepare buttercream in mixer starting by mixing half of the icing sugar with softened butter and milk mixed with couple drops of lavender and vanilla extract. Then continue to add the remaining sugar gradually and mix until smooth. Place in a piping bag with round or star tip and set aside. 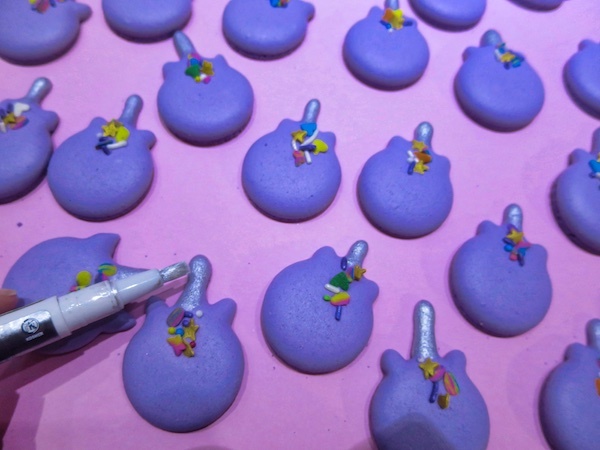 Once the shells have cooled paint the unicorn horns with metallic silver food coloring. 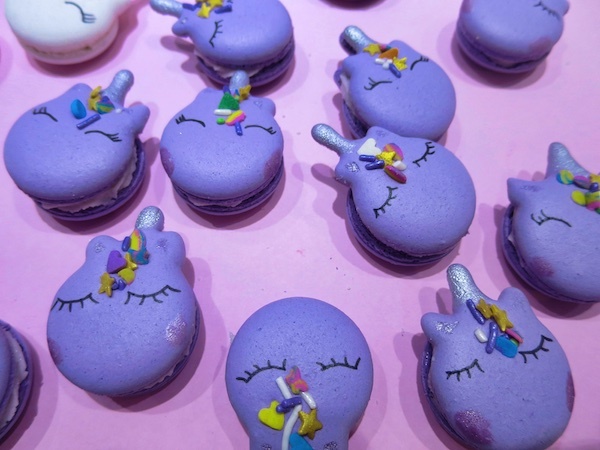 Using a black food coloring pen, draw the unicorn sleepy or smiley eyes and you can add blush on the cheeks using metallic pink food coloring. 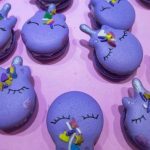 Pipe buttercream onto the flat side of a non decorated macaron shell and top with a decorated unicorn macaron shell to make a sandwich. Refrigerate for 24 hours before serving.